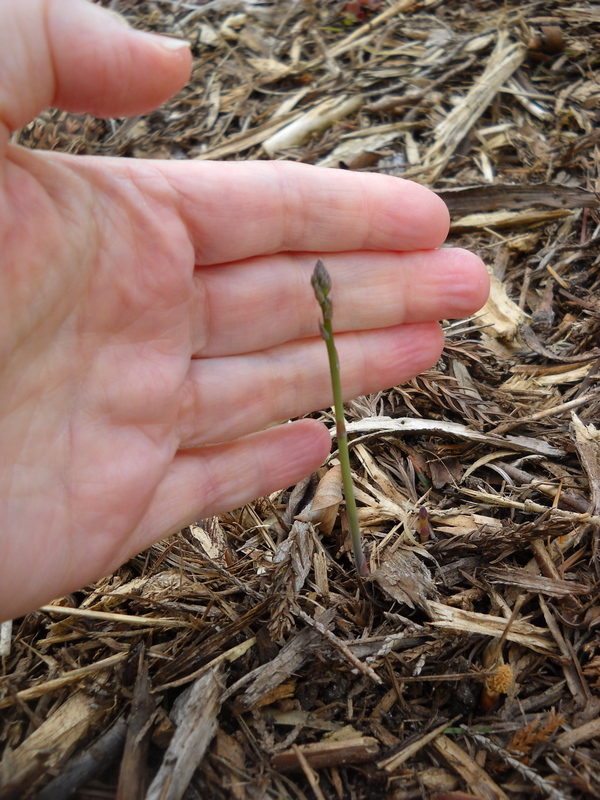 Asparagus that I grew from seed in 2013–the only one that survived my tender ministrations. 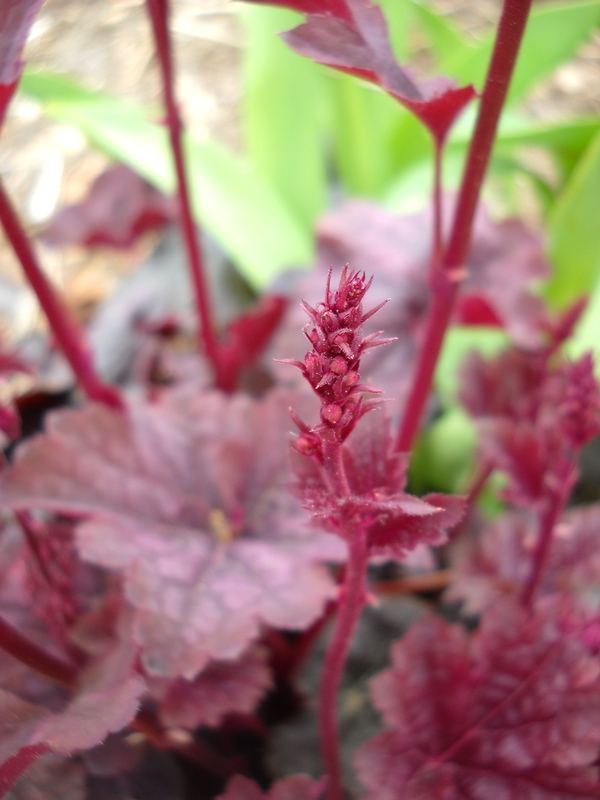 I’m trying again this year–only 7 (of 18) seeds germinated. 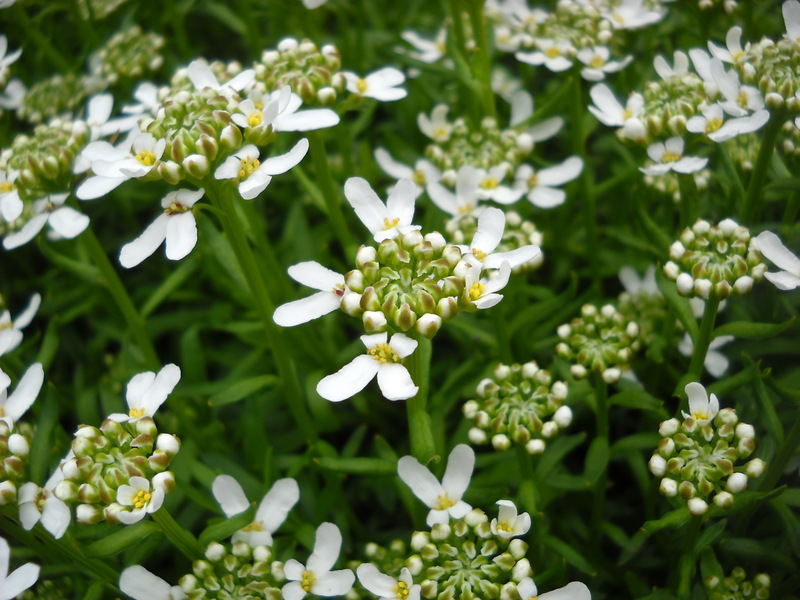 Perennial iberis (candytuft) just opening. 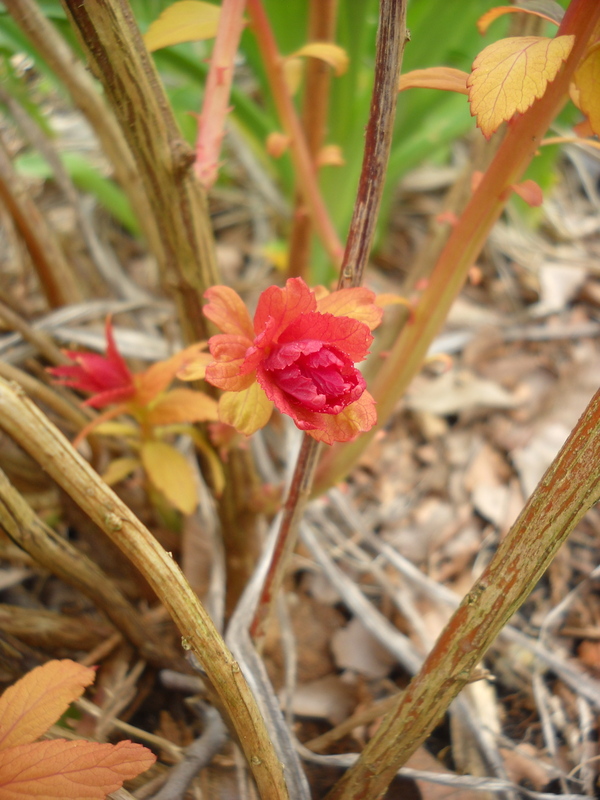 New growth on spirea. It really is that colour! 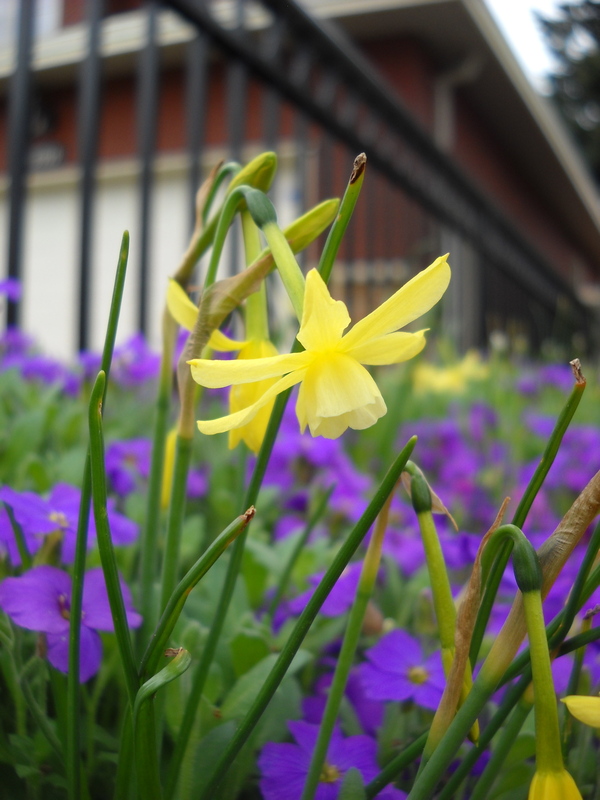 I don’t remember what kind of daffodil this is, but the “cup” is only about 1 cm. You can see by comparison with the aubretia flowers (also about 1 cm across and about 10 cm high). 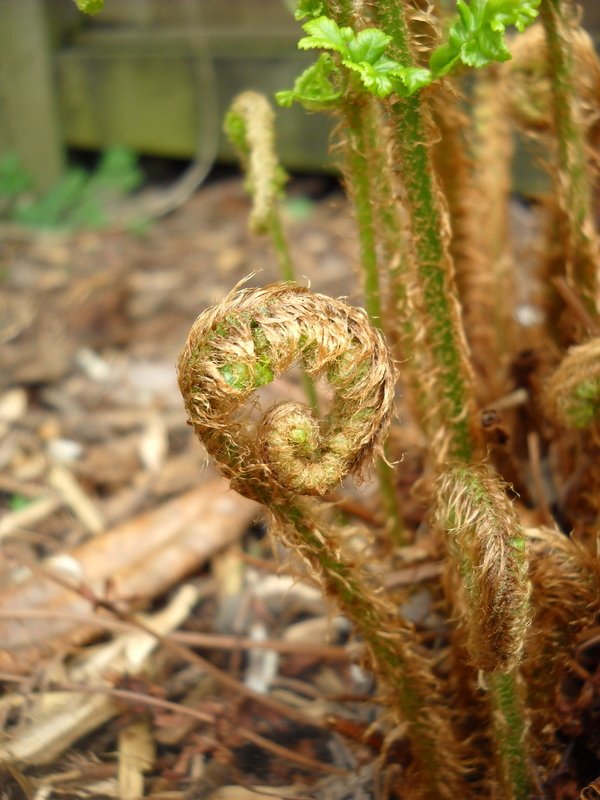 Unfurling ferns. This might be a native sword fern. 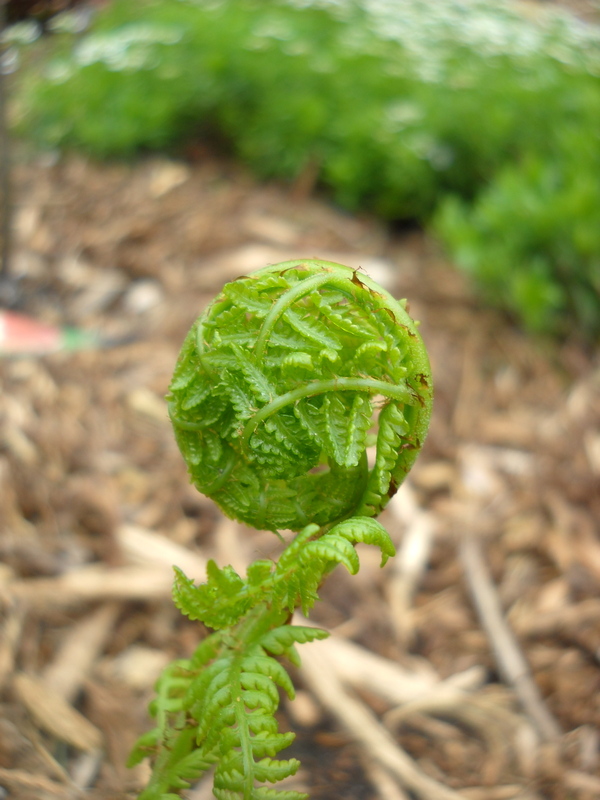 Dryopteris filix-mas ‘Cristata’. You can just see at the top of the picture the “crested” habit of the fronds. 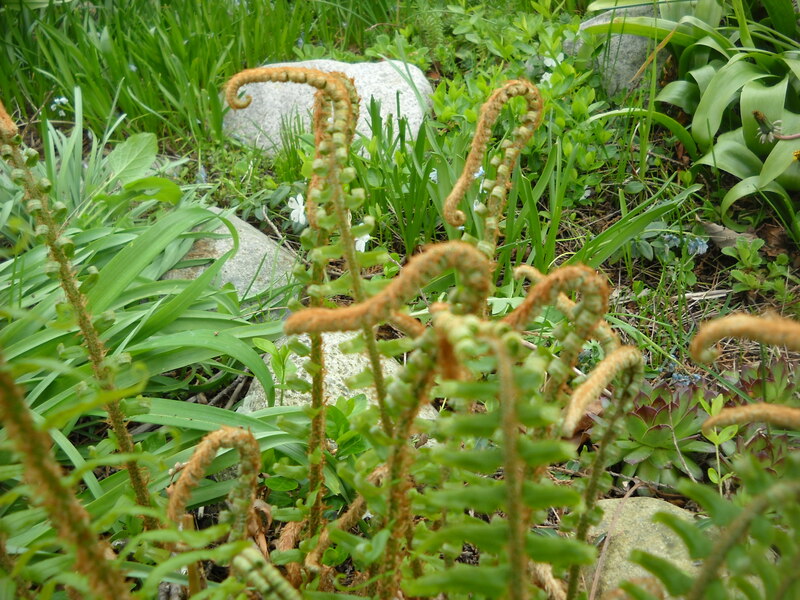 No-name herbaceous fern. Pops up everywhere, but easy to pull out if they’re a bit over-enthusiastic. 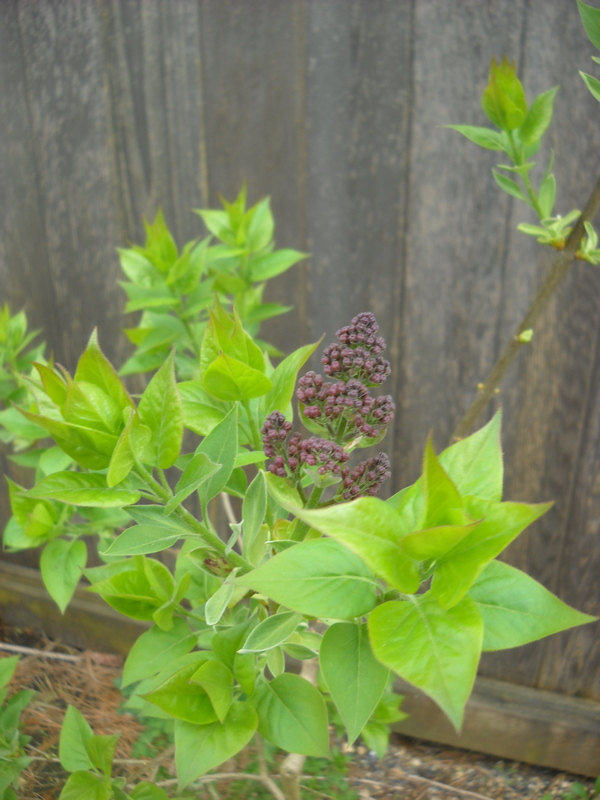 Very excited about this lilac. 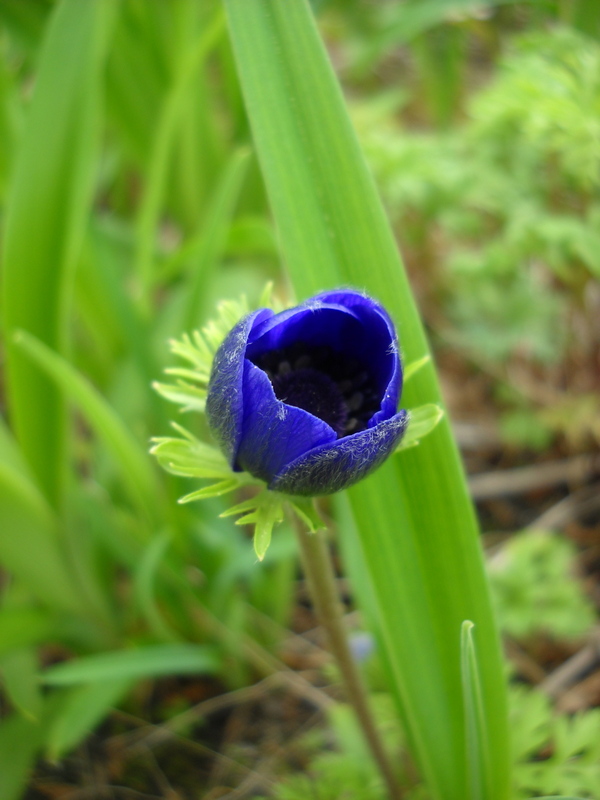 It was a sucker in a friend’s garden several years ago–maybe 5? I planted it with its one root, and now, 5 years later, it’s finally blooming for the first time. 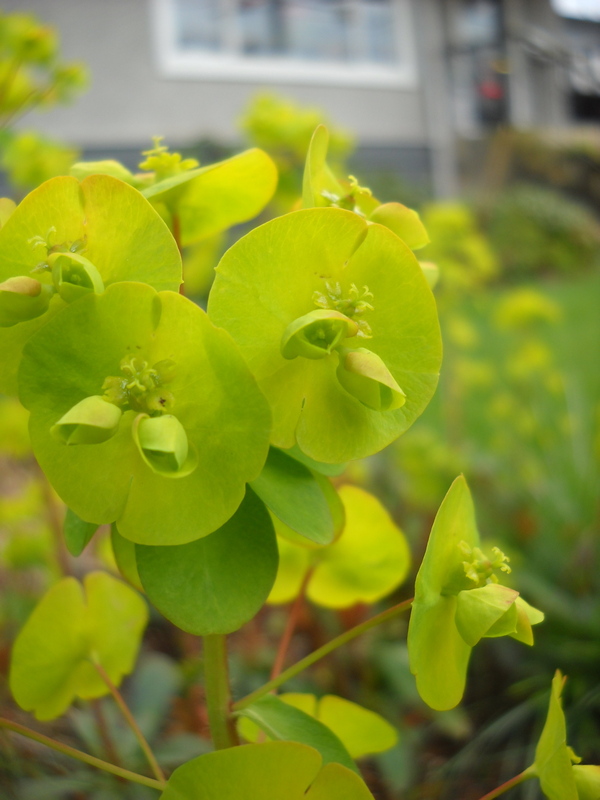 Gardening develops patience! 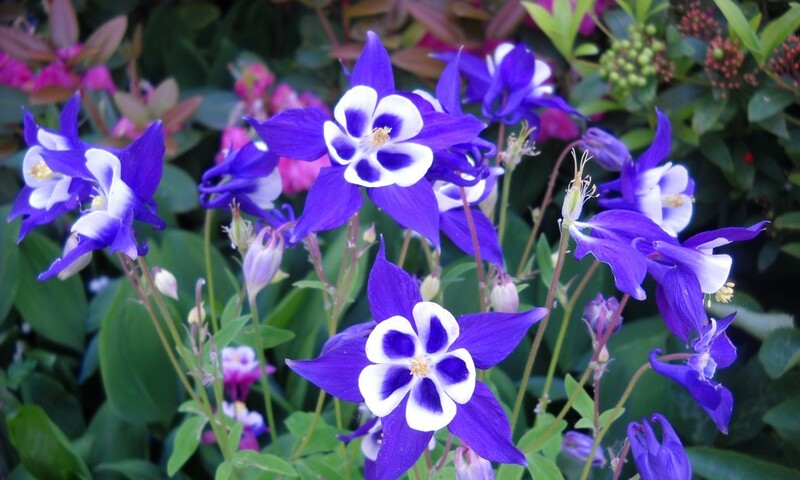 This entry was posted in Flowers, garden and tagged gardening develops patience, observing the smallest details by Janet. Bookmark the permalink. I really love this post. The author uses her sharp eye and great photographic skills (or maybe she just has a very good camera!) 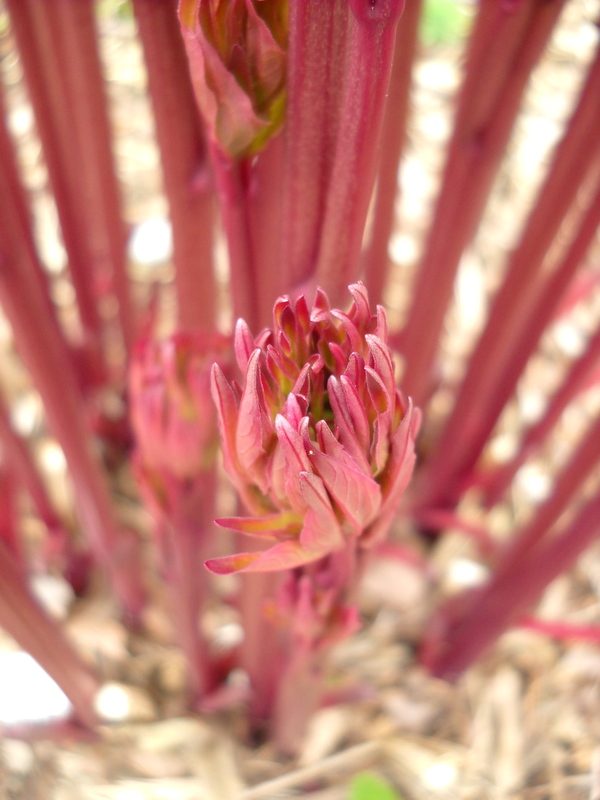 to observe small signs of spring in her garden. I love to walk through my yard first thing in the morning and make note of all the changes, growth, decay, whatever. But these photos really capture that experience very beautifully. I love this post. Hope you don’t mind if I share it.